I moved to Mackay in 2011 and haven’t looked back since. I’ve grown to enjoy the laidback Mackay lifestyle and all it has to offer. Over the years I have also spent time visiting the Whitsundays and my favourite place to date would be Whitehaven Beach. Being on the go all the time in a fast-paced job I also can’t go past a good cup of coffee. When it comes to writing, I love to meet residents in the community and find about their life as I feel everyone has an interesting story to tell. Wildlife officers from the Department of Environment and Heritage Protection are monitoring the creek systems around Blacks Beach for signs of a crocodile after a reported sighting on Thursday afternoon. 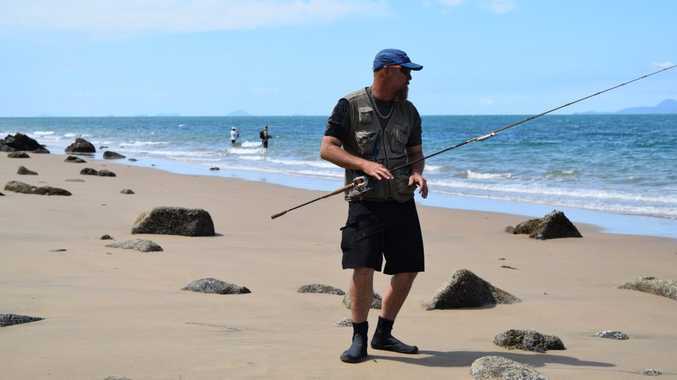 A fisher reported seeing an approximately 5.2 metre crocodile in the waves ahead of him just 2-3 metres away from the rocks where he was standing. The animal moved off and remained stationary offshore about 5-10 metres away. The description given of the crocodile could indicate it is injured and may not be feeding well. If it is determined that the crocodile is resident in one of the inland waterways adjoining Blacks Beach it will be targeted for removal. Recent warning signs were deployed at the access points to Blacks Beach and a survey was conducted of Eimeo Creek. Wildlife officers are working closely with Surf Lifesavers to ensure the community is kept informed. EHP would like to thank the fisher who reported the crocodile sighting and encourages anyone who sees a crocodile to contact 1300 130 372 as soon as possible. Crocodile spotted at Blacks Beach: Reporter Louise Starkey speaks to fisherman Arran Fletcher about his close encounter with a crocodile at Blacks Beach. Arran Fletcher got more than he bargained for when spotted a crocodile off Blacks Beach yesterday. "I cast my net to scare him off but it actually hooked onto his head," he said. "I jiggled it and it fell off him so he didn't have the line tangled on him. "You see them quite regulary 50 to 100 metres off the shore. "I think he comes out of Reliance, comes down here (Blacks Beach) out to the Harbour and then he goes up to McCready's (Creek)." Mr Fletcher said he saw the crocodile was injured as well. The Department of Environment and Heritage Protection have been contacted for comment.